2. 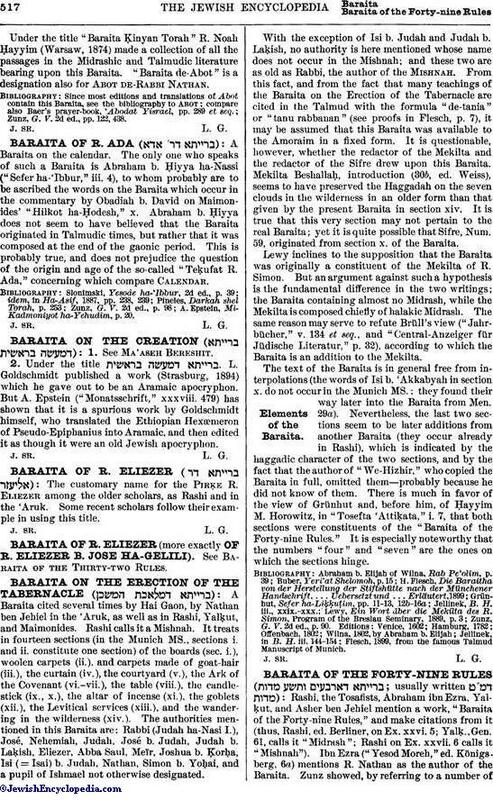 Under the title , L. Goldschmidt published a work (Strasburg, 1894) which he gave out to be an Aramaic apocryphon. But A. Epstein ("Monatsschrift," xxxviii. 479) has shown that it is a spurious work by Goldschmidt himself, who translated the Ethiopian Hexæmeron of Pseudo-Epiphanius into Aramaic, and then edited it as though it were an old Jewish apocryphon.